Unless otherwise noted, programs meet at the Millers River Environmental Center, 100 Main Street, Athol. If weather is questionable on a field trip day, please call the trip leader at least an hour before the scheduled meeting time. 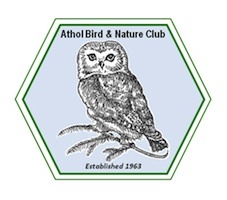 Saturday, March 16, Mass Audubon and the Brookline Bird Club (BBC) — one of the largest bird clubs in the state—will co-host the 21st annual Birders Meeting at Bentley University in Waltham. Exploring the theme Birding: Past Present, and Future Challenges and Opportunities, we will take a look back at 20thcentury birding through the lens of one of America’s oldest bird clubs, as well as examine how modern technological advances are revolutionizing our understanding of bird classification, migration, and key conservation issues. This popular event, which supports Mass Audubon’s Science and Bird Conservation work, draws birders of all levels as well as photographers, students, and conservation and academic professionals from across the state for a day of presentations, workshops, exhibitors, silent auctions, and raffles. Proceeds from the Birders Meeting help to strengthen Mass Audubon’s statewide bird monitoring initiatives aimed specifically at protecting species at risk at a time when more than one-third of Massachusetts’ breeding bird species have suffered significant declines. For complete event details, including a comprehensive agenda, speakers list, and registration information, visit www.massaudubon.org/birdersmeeting. The Massachusetts Junior Duck Stamp (JDS) Program is looking for youth artists in to submit a duck stamp art entry in a statewide competition. Art and science may seem to be an unlikely combination, but when blended in the context of the JDS Program, art makes science come alive. This dynamic program links the study of wetlands and waterfowl conservation with a national waterfowl art project. Students in grades K-12 learn about the habitat requirements of various kinds of ducks and geese (waterfowl) and then express their knowledge of the beauty, diversity, and interdependence of these species artistically, by creating a drawing or painting and submitting it to the Massachusetts Junior Duck art contest. The art is judged in four age group categories in a statewide competition, and the entry judged Best of Show moves on to represent Massachusetts in the national JDS competition. Registration information is now available for the 2013 JDS Program; Connecting Children With Nature Through Science and Art at www.fws.gov/juniorduck. Artwork submissions are due by March 15, 2013. NOTE: The address for submitting entries has changed this year: JDS Art Entry, DFW, 100 Hartwell Street Suite 230, West Boylston, MA 01583. In celebration of 20 years of success in ‘Connecting Children to Nature Through Science and Art’ the federal JDS Program recently redesigned its arts and science curriculum to spark youth interest in habitat conservation and careers in natural resources through science, art, math and technology. Targeted for students in grades 5-8, with suggested adaptations for younger and older audiences, the curriculum encourages students to engage with their natural world and develop a deeper appreciation of natural resources. “A great way to appreciate waterfowl is to spend time outdoors observing and photographing them at your local ‘duck pond’,” said Pam Landry, MassWildlife Education Coordinator. The guides meet a number of national educational standards for students in grades K-12. The curriculum may be downloaded at www.fws.gov/juniorduck/curriculum.html. The Federal Junior Duck Stamp is administered by the U.S. Fish and Wildlife Service. The Junior Duck Stamp is a pictorial stamp produced by the U.S. Fish and Wildlife Service to recognize the conservation efforts of students and support environmental and conservation education programs. The first place national winner of the art contest graces that year’s JDS and is sold by the U.S. Postal Service (www.usps.com) and Amplex Corporation (www.duckstamp.com) for $5. All proceeds are invested in the program to fund environmental education efforts; awards for the students, teachers and schools that participate in the program; and to market the JDS program. In Massachusetts, the JDS is coordinated by the Division of Fisheries & Wildlife (MassWildlife) with support from the U.S. Fish and Wildlife Service, the Massachusetts Chapter of Ducks Unlimited, and the Massachusetts Wildlife Federation. For more information on JDS go to www.mass.gov/dfwele/dfw/education/jds/jds_home.htm. For inquiries relating to hosting the Junior Duck Stamp Awards ceremony in April, 2013 or an artwork exhibit in 2013, contact Education Coordinator Pam Landry at (508) 389-6310 or Pam.Landry@state.ma.us. This entry was posted in News and tagged 2013, field trips, spring. Bookmark the permalink.